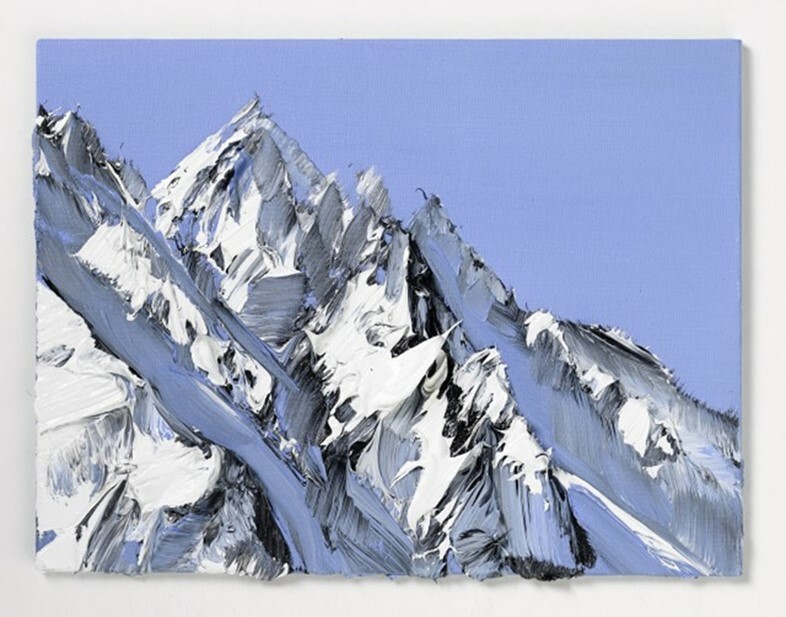 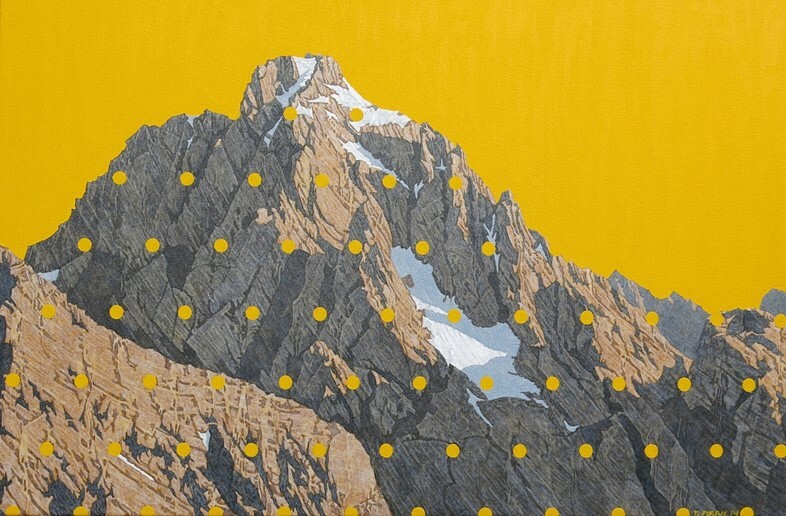 For this week's Good Things we scale the internet and peek at a selection of mountains depicted in art and design. 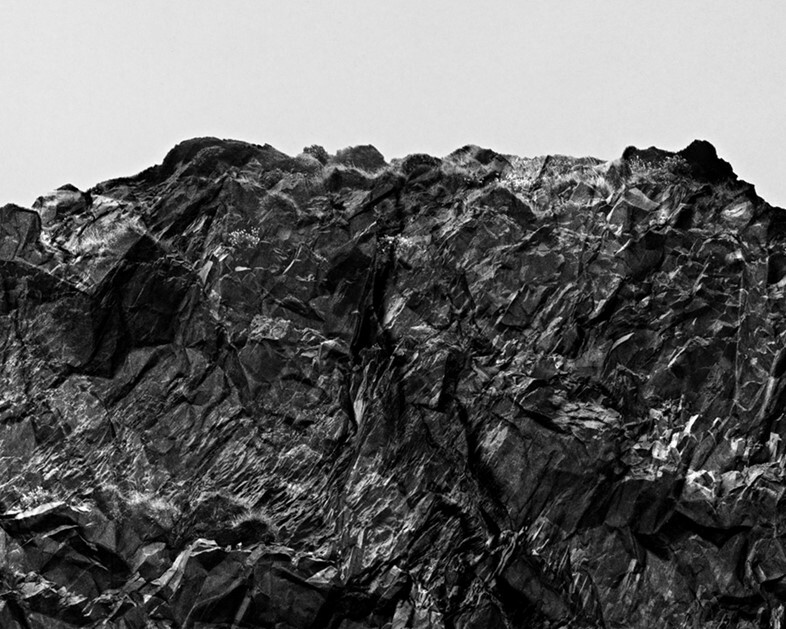 Crampons not necessary. 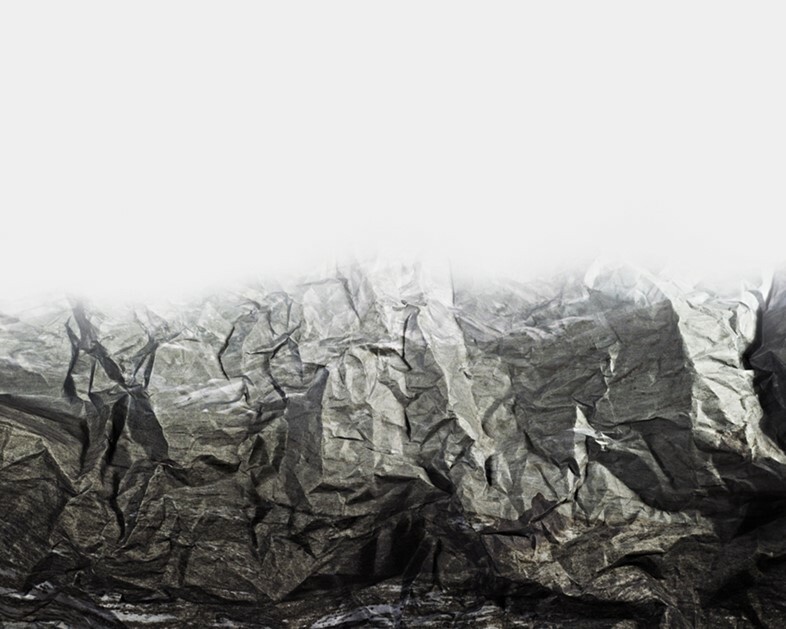 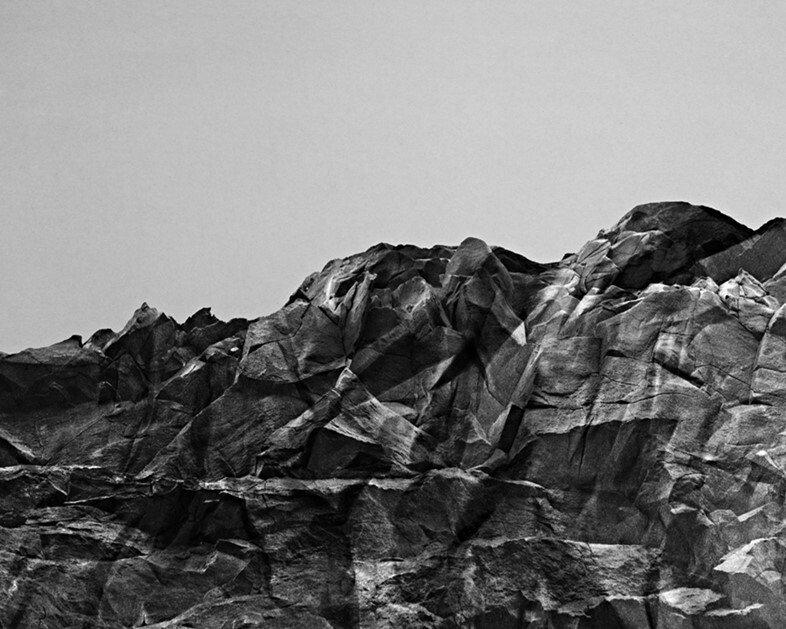 Not mountains but crumpled paper. 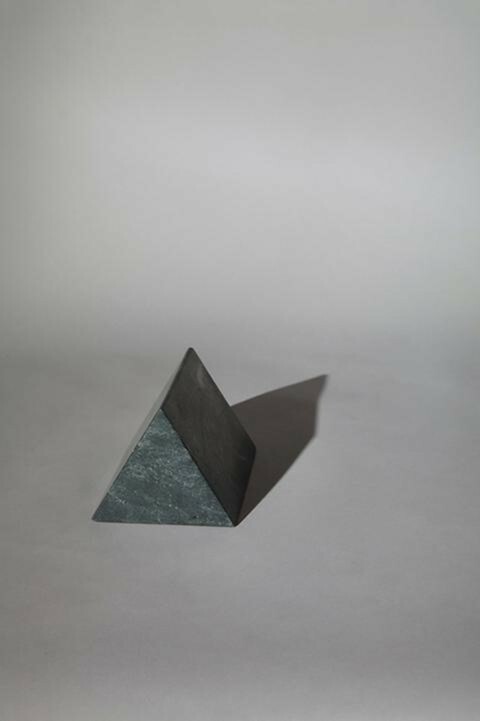 Created by Brendan Austin. 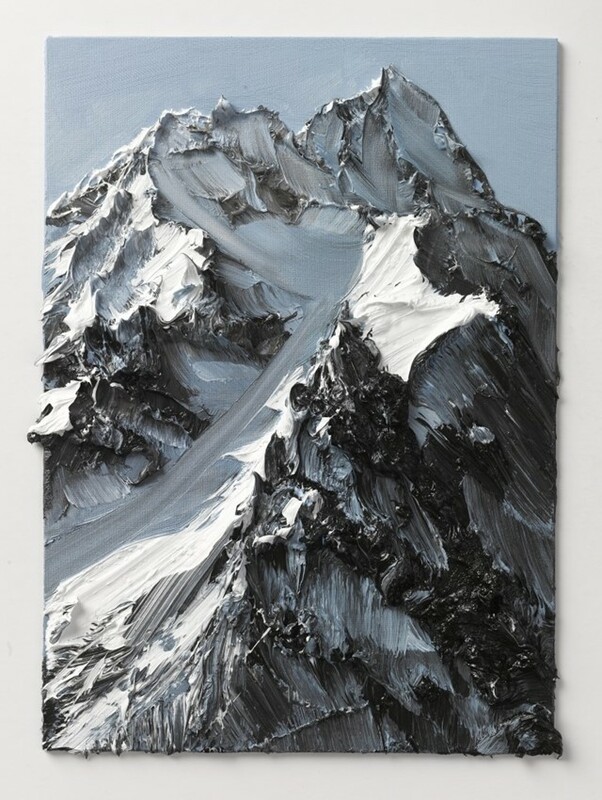 Conrad Godly captures the splendour of mountains perfectly with his wildly thick impasto paintings. 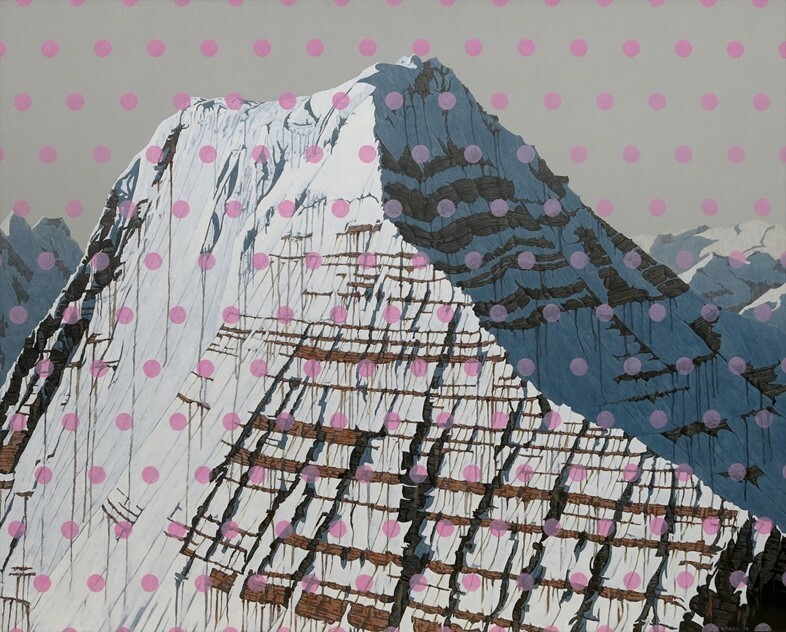 Pink skies over mountains, giant spots like regulated snow. 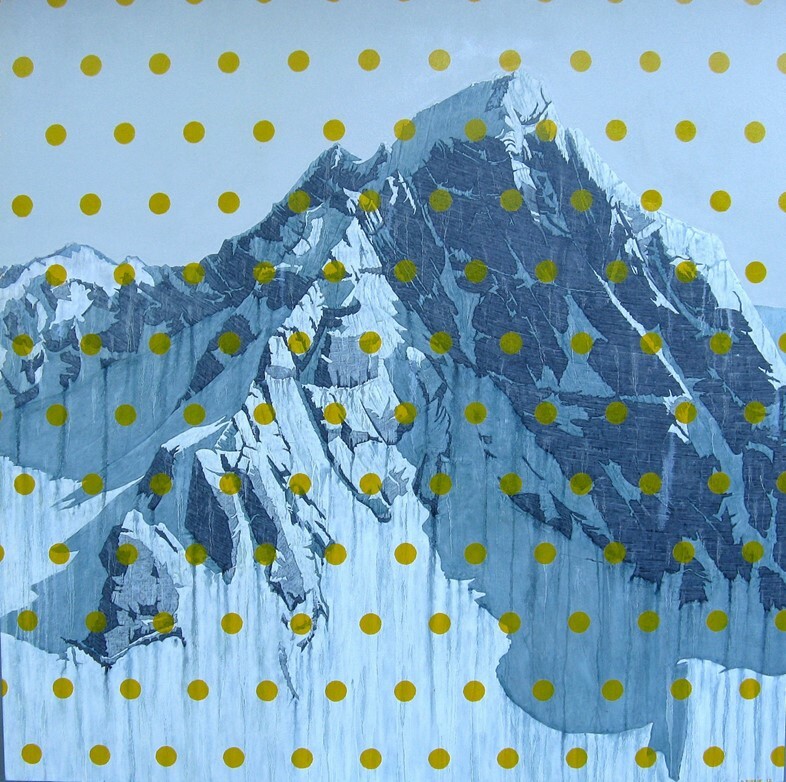 David Pirrie is ticking lots of boxes with his paintings. 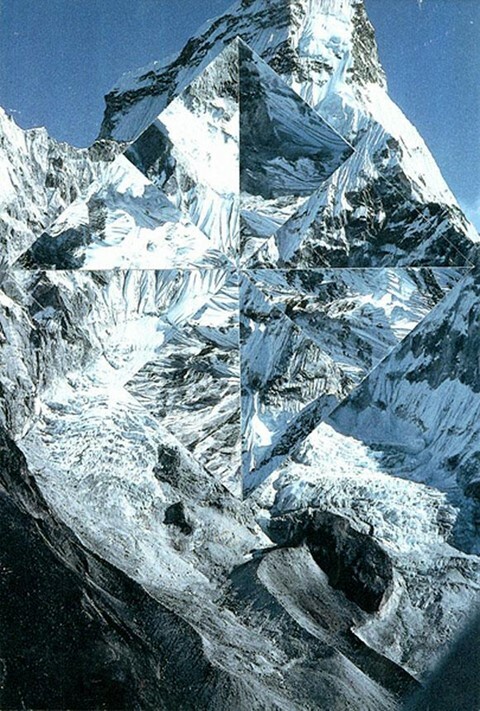 Just when you thought a mountain couldn’t get any prettier, Liam Wylie dissects photos of them into inverted geometric shapes. 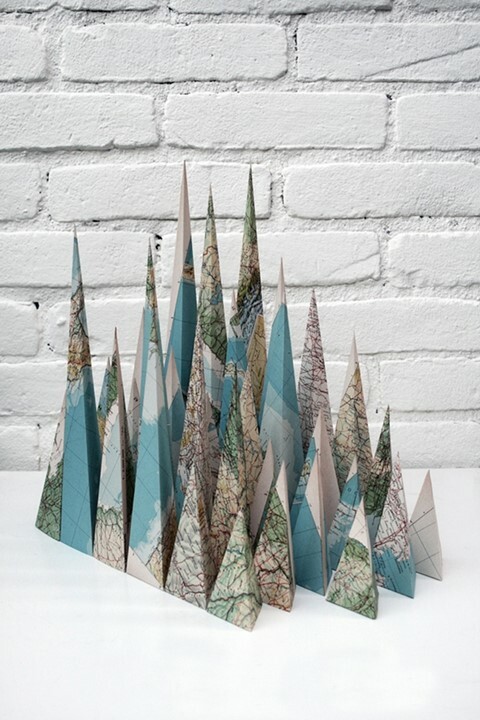 The use of maps, to make mountains, seems quite apt. 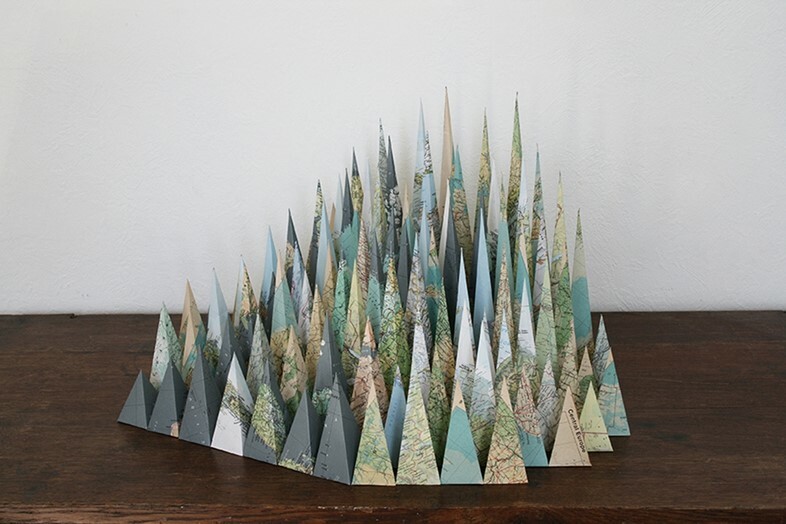 Lous Reith's super sharp peaks are a graphic delight. 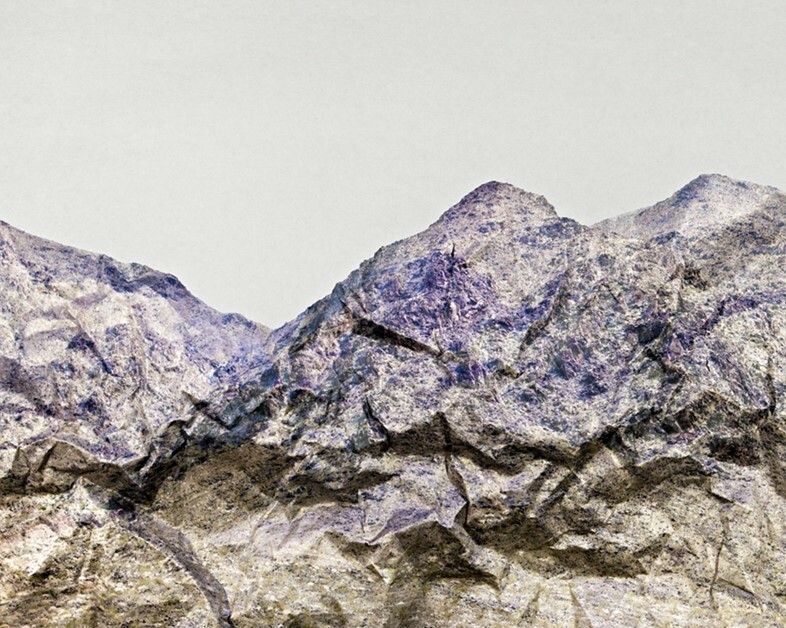 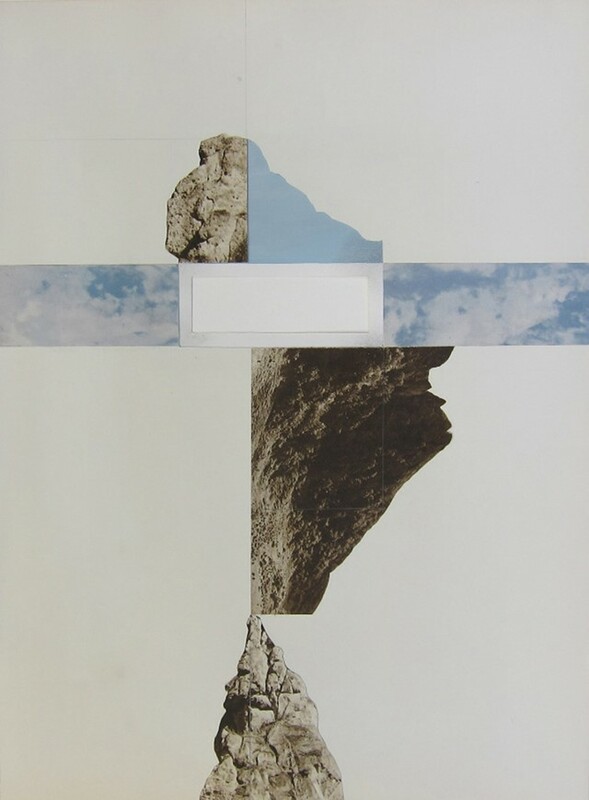 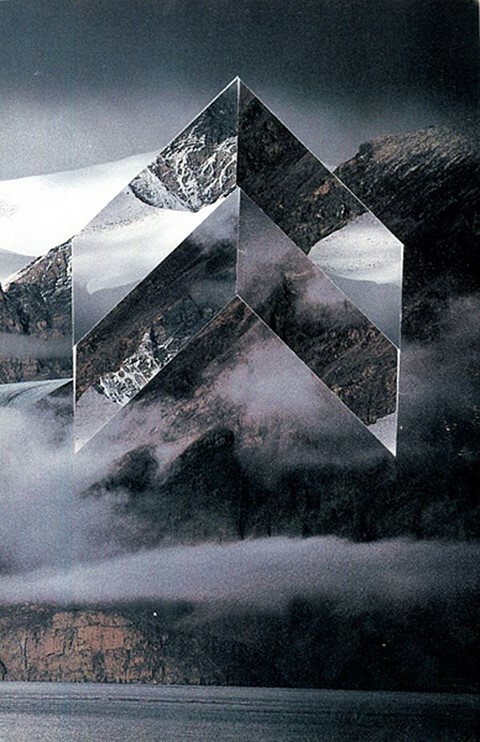 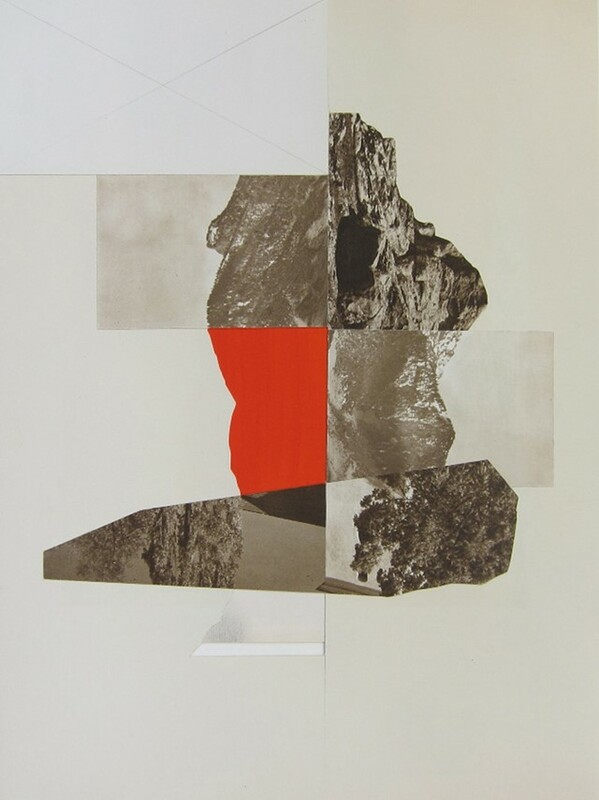 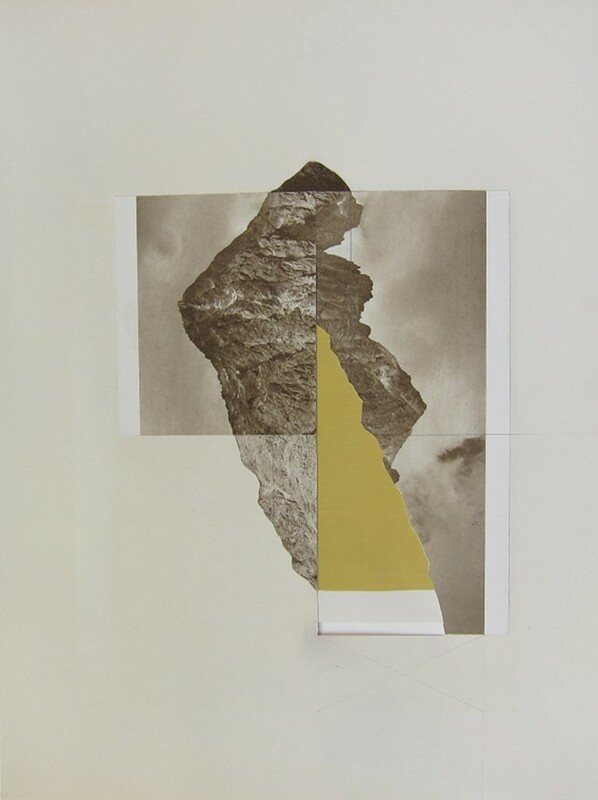 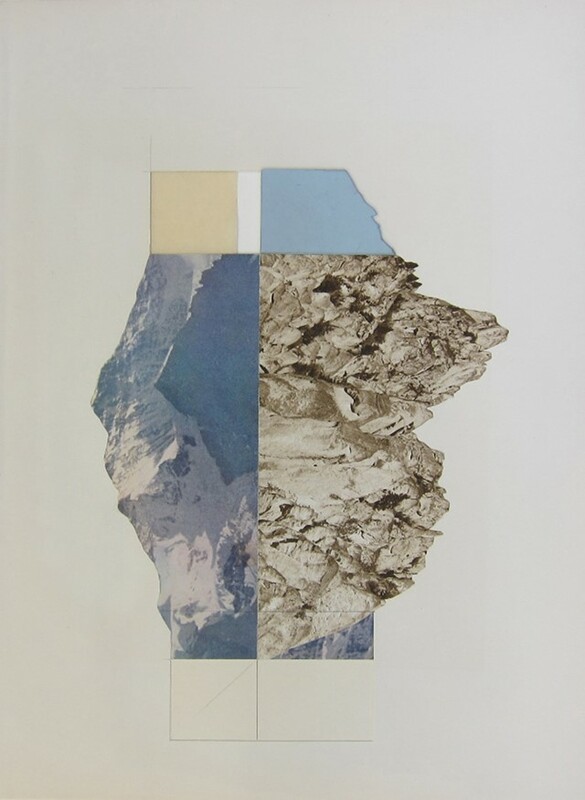 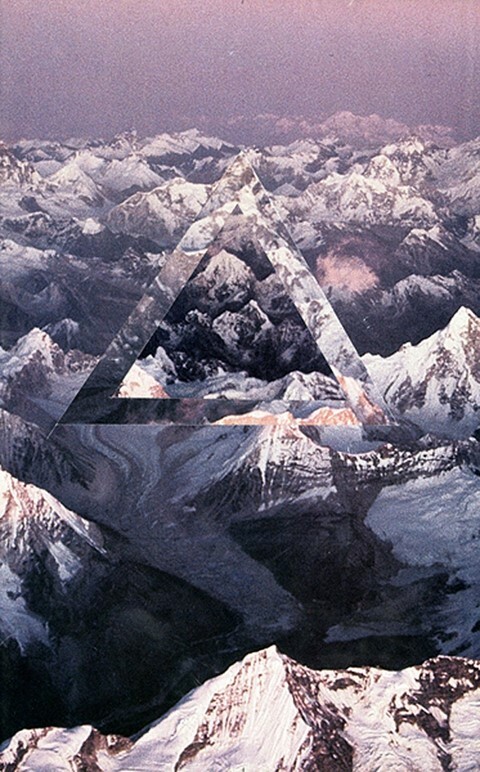 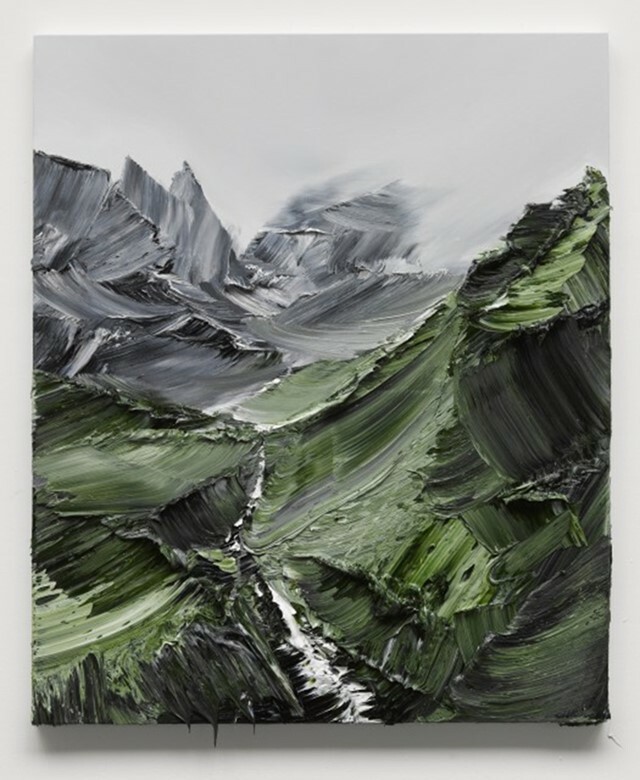 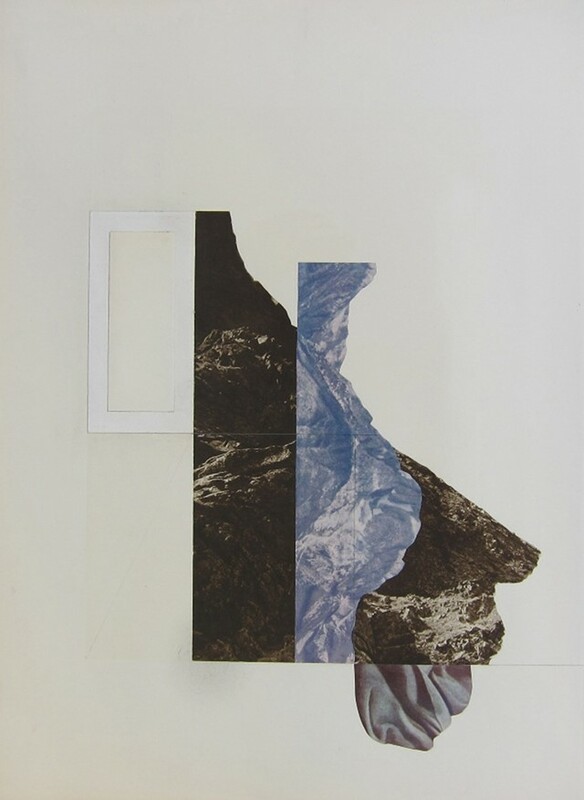 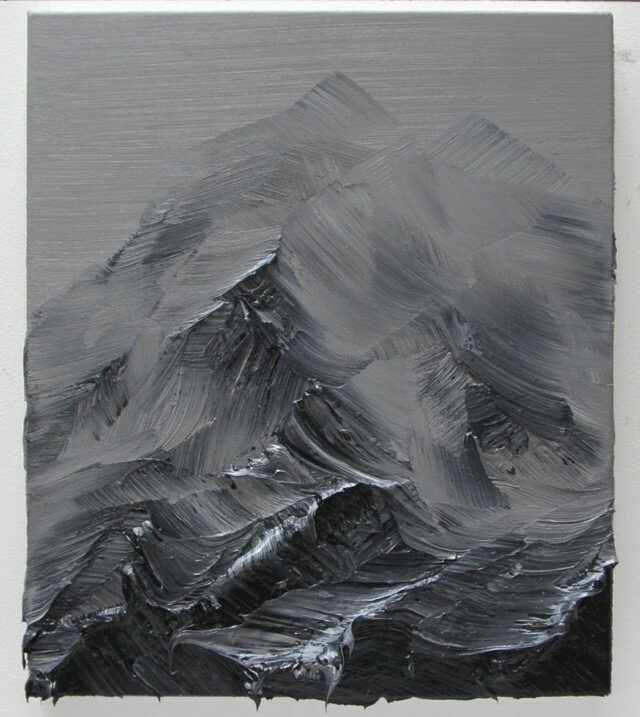 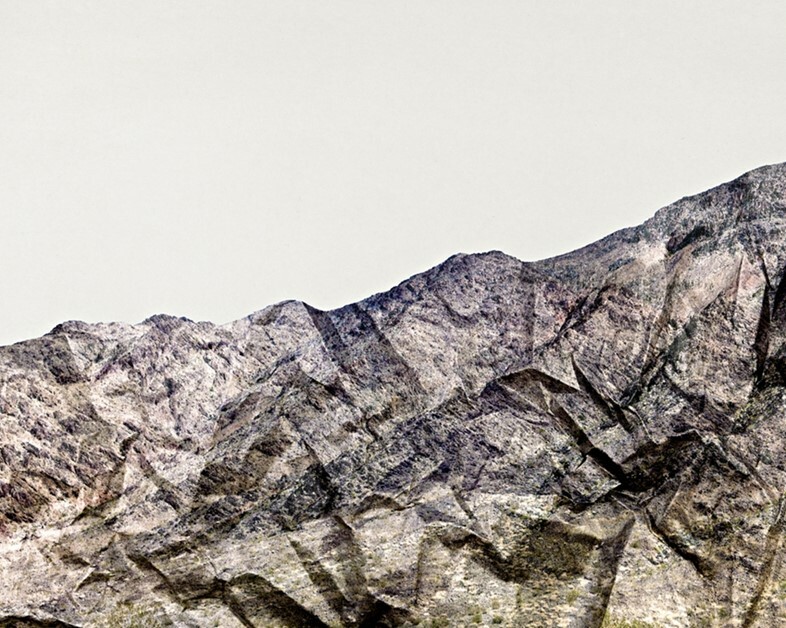 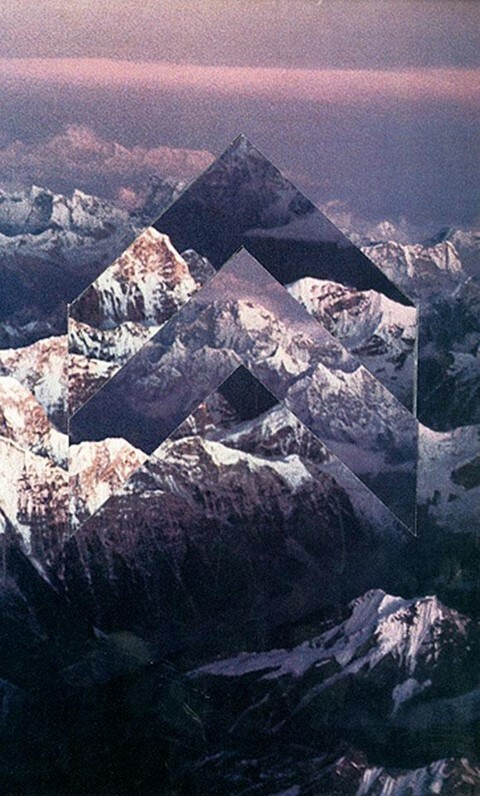 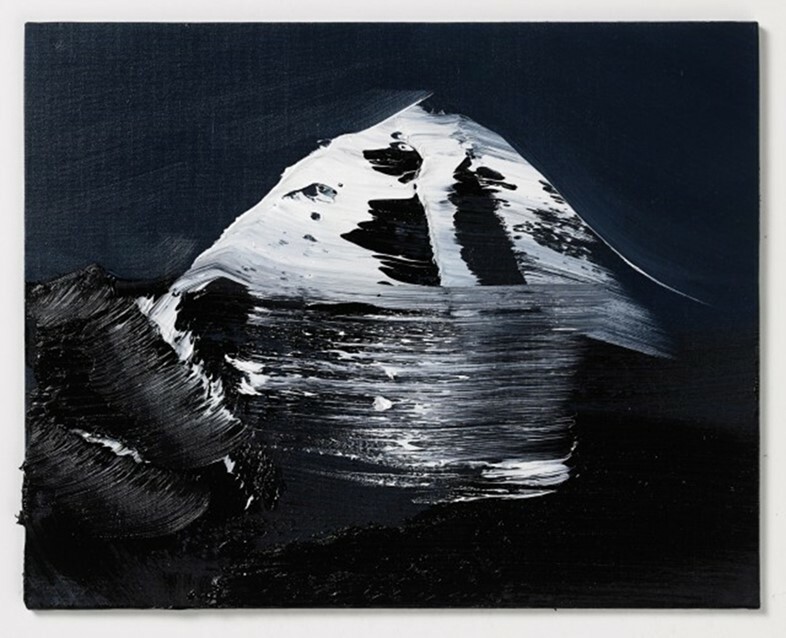 Mountains, rocks and sky star in the fractured work of Leigh Wells. 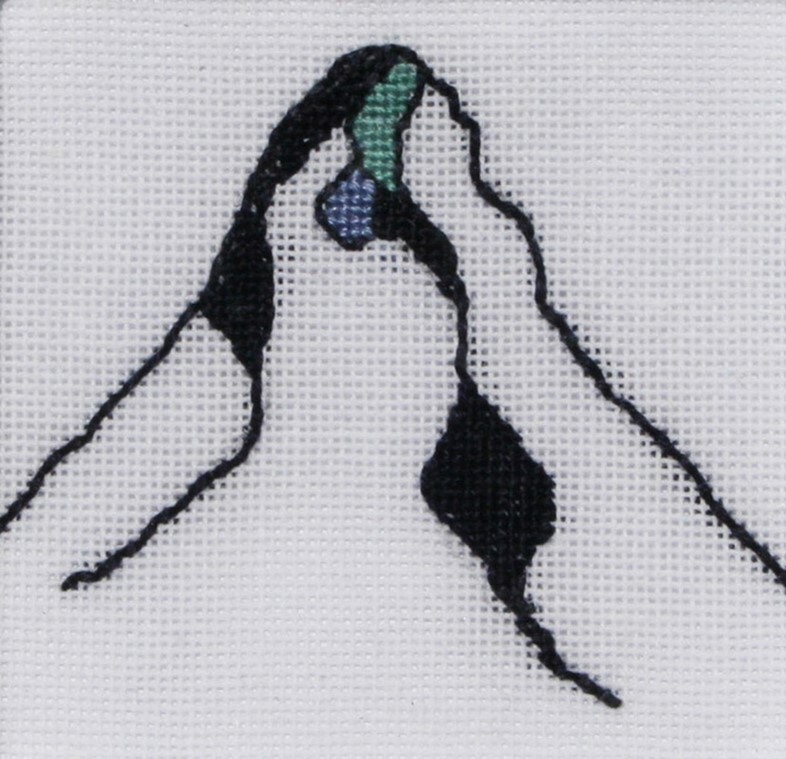 Mountains, in their own right, aren’t especially cosy. 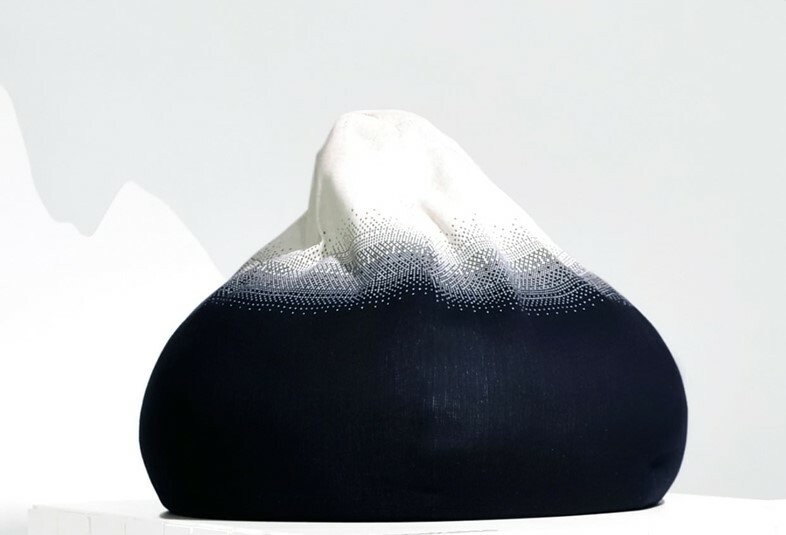 Little Red Stuga have changed that with their squishy mountain bean bag. 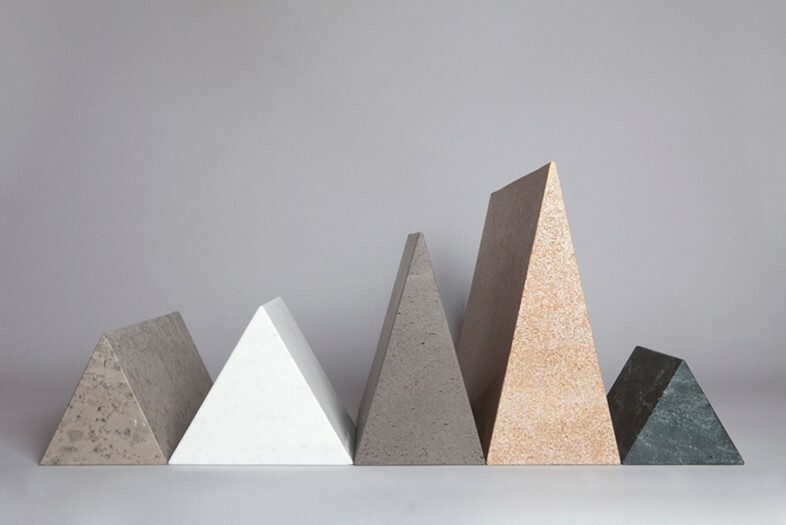 An easily achieved summit for your front room. 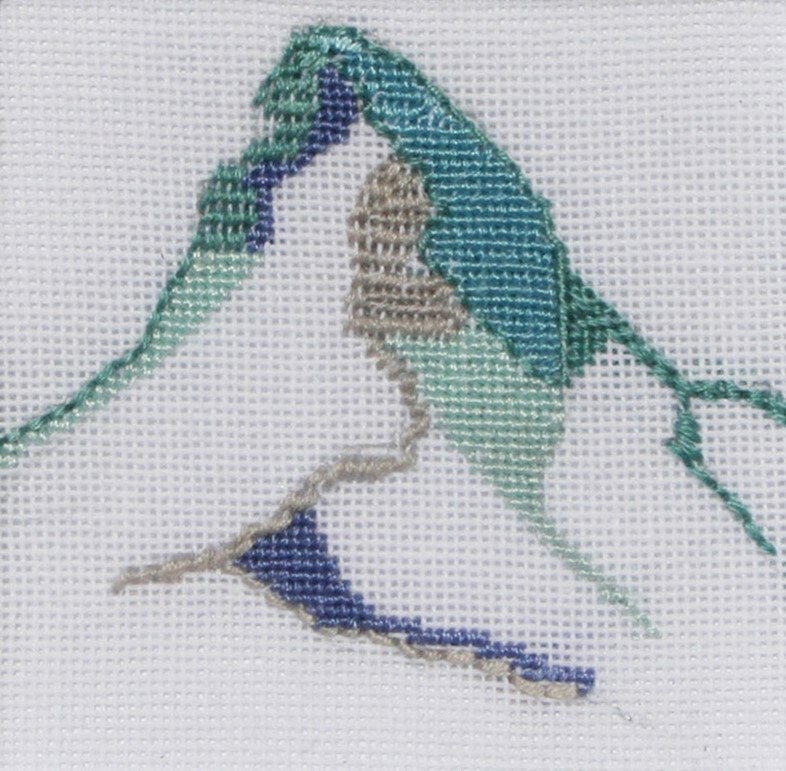 Needlepoint, reminiscent of Heidi and quality jumpers, feels like the best medium for depicting mountains. 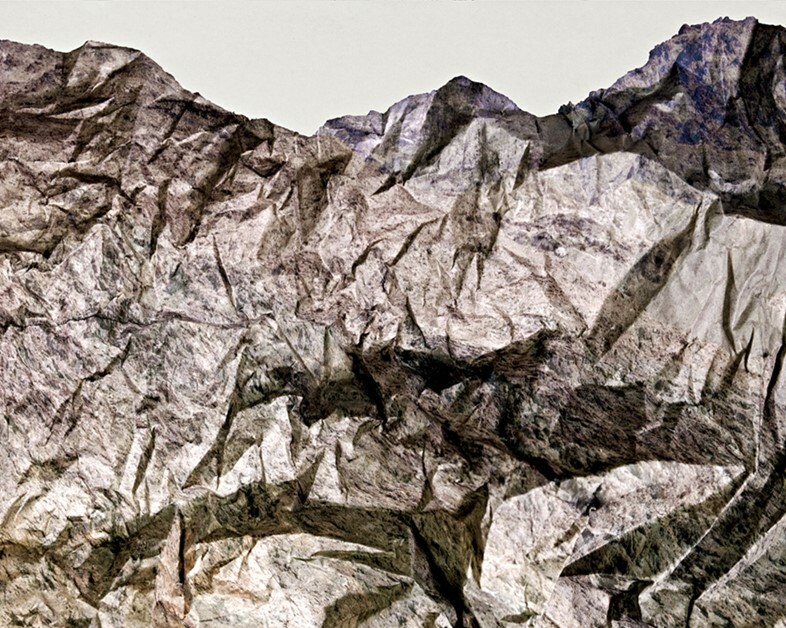 Liesl Pfeffer’s aida confections do just that. 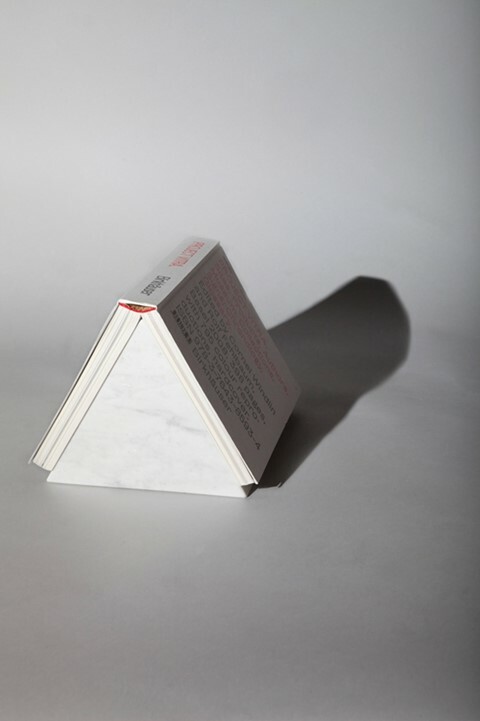 Pleasingly simple mountains by Krzysztof Lukasik make for very useful book stands.